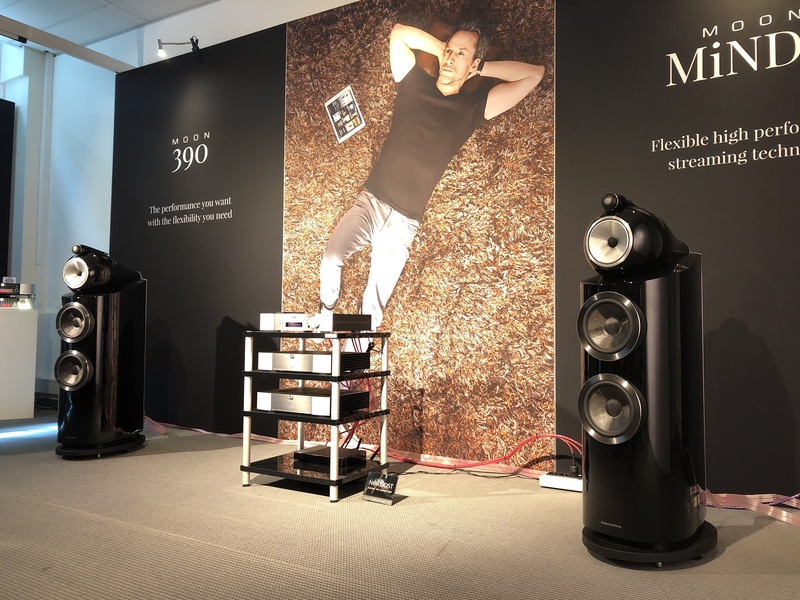 This year at the High End show in Munich, we decided to impress show-goers with a truly world class sound system. 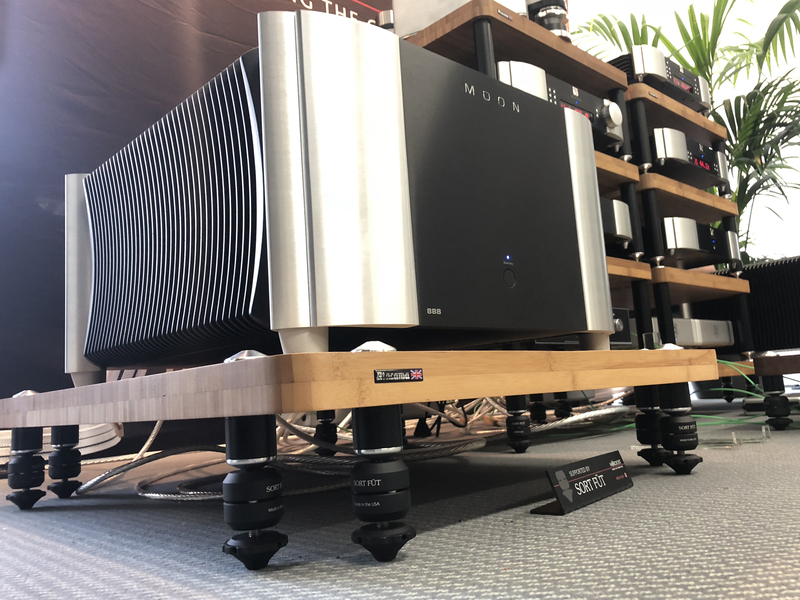 This remarkable system featured Raidho D4.1 loudspeakers, components by Simaudio, including an imposing pair of Moon 888 Power Amplifiers, a VPI Avenger reference turntable (made with Nordost’s internal tonearm wire), Nordost Sort System resonance control devices, QRT power products, which highlighted our QKRORE Ground Units, and, of course, a full loom of Supreme Reference, Odin 2 cables. In addition to demonstrations, we had the opportunity to celebrate our recent collaboration with Newvelle Records by spinning a selection of LPs from their first two seasons of box sets! 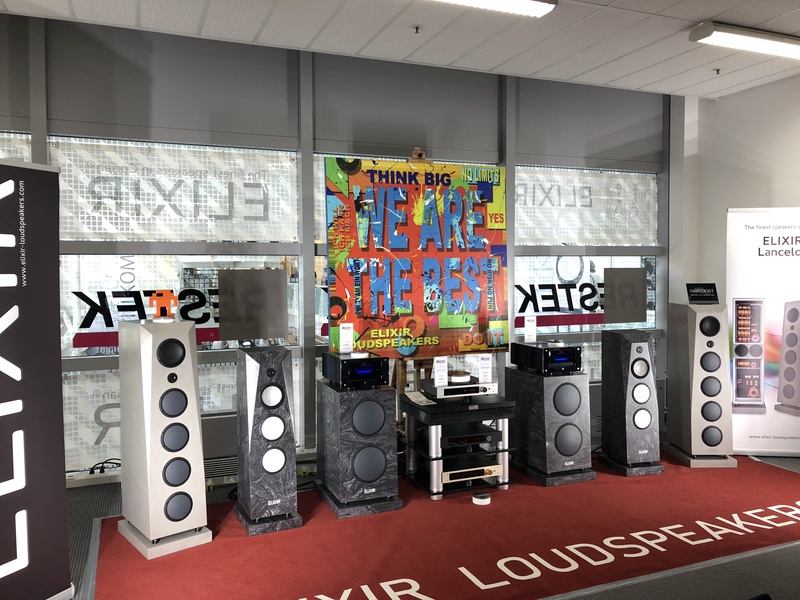 It’s always a joy to go to Munich to share the outstanding sound our products are capable of producing with our friends and partners from around the world. 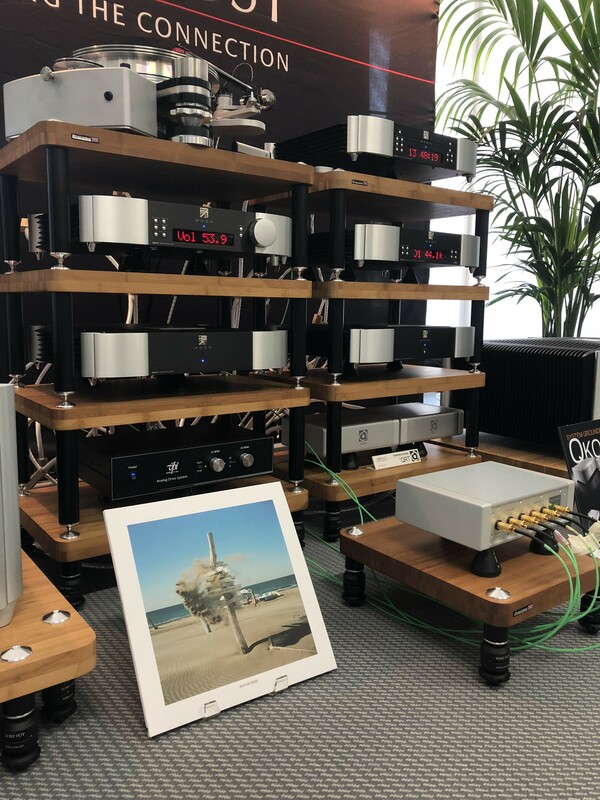 We also want to say a special “thank you” to our fellow manufacturers who chose to showcase their products using Nordost cables! 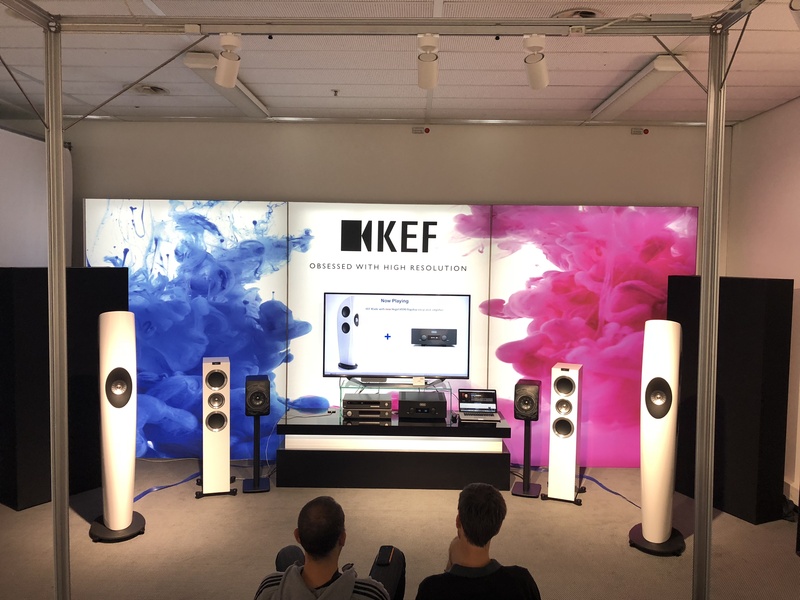 If you weren’t able to make it to Germany this year, here are some pictures from High End 2018 to enjoy at home. 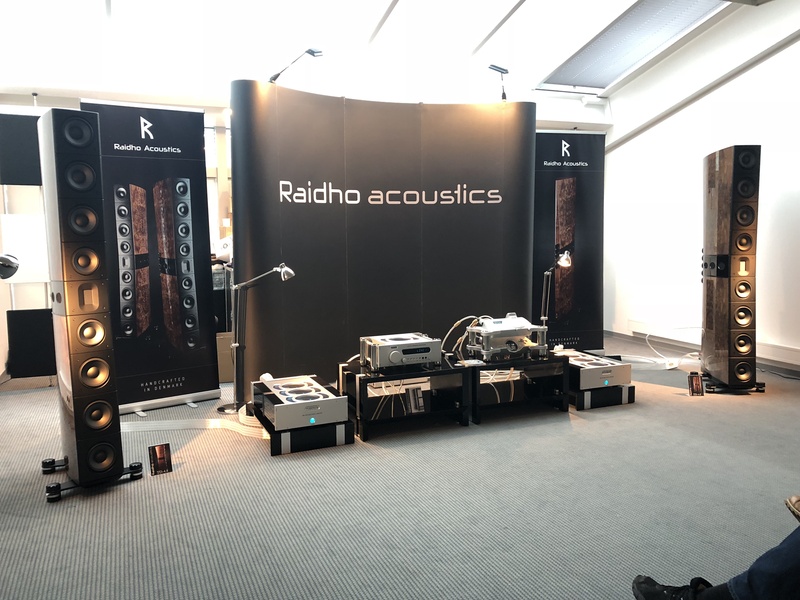 Raidho’s room was easily one of the best sounding rooms at the show. 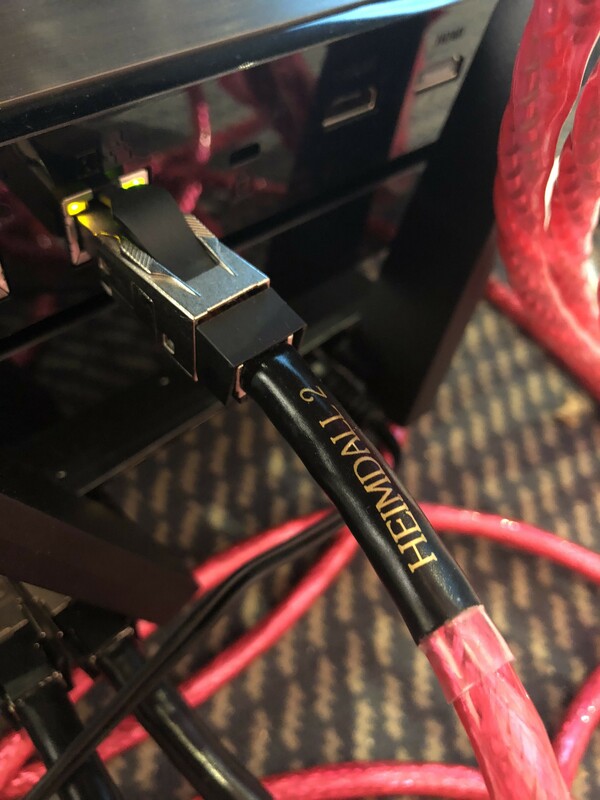 They used a full loom of our Valhalla 2 cables! 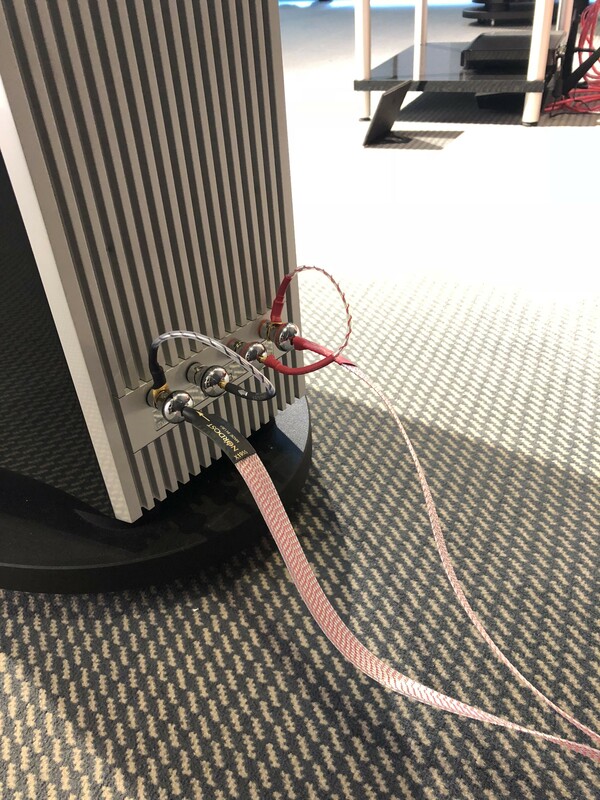 The SuperFlatline Speaker Cable is a true Nordost classic. 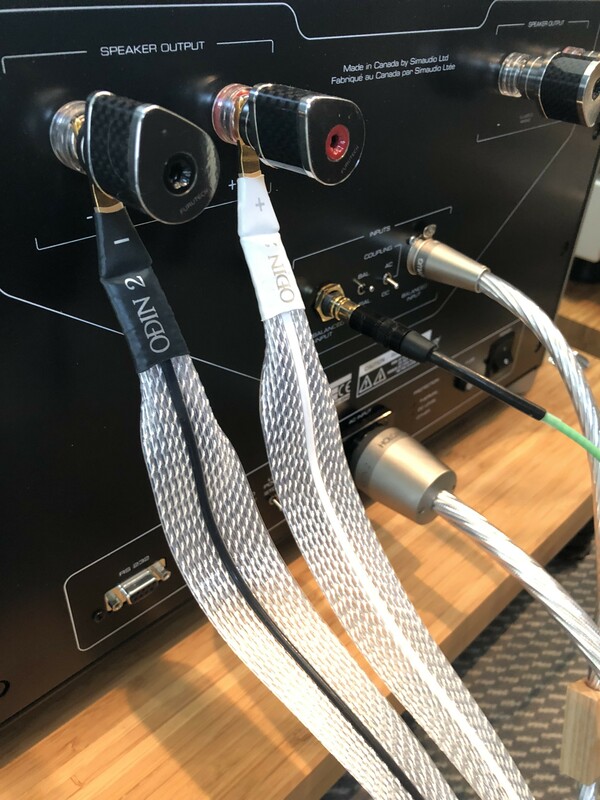 It was one of the original cable options that put Nordost on the map. 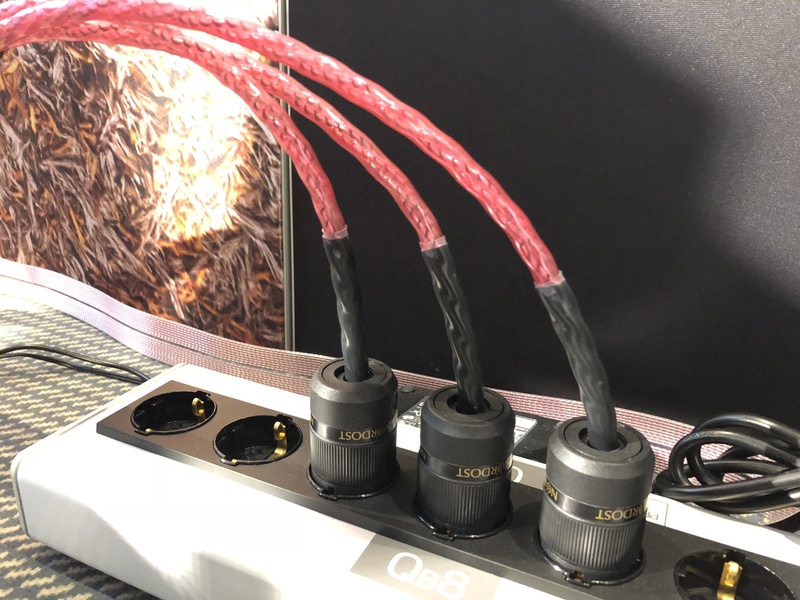 Easily distinguishable by its trademark, flat design, SuperFlatline quickly became known throughout the industry as one of the most respected high end speaker cables, offering an unmatched performance level at its price point. 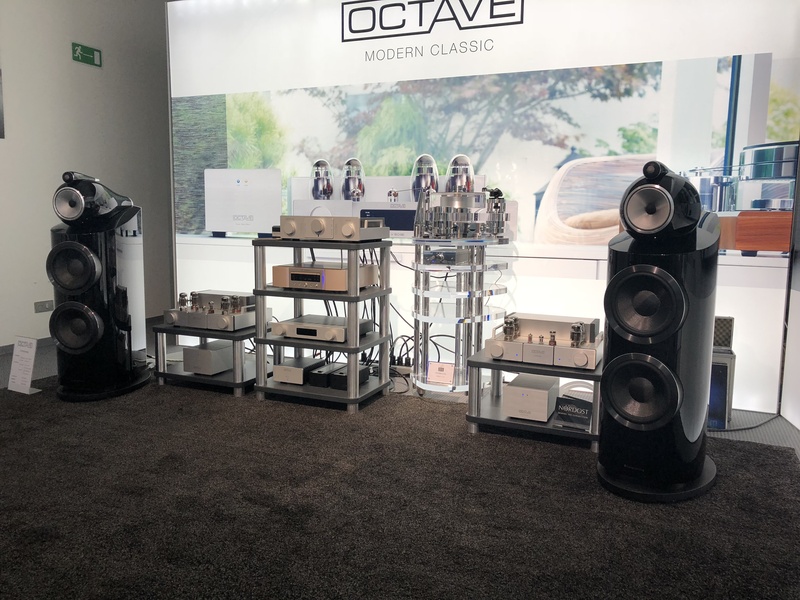 This highly sought after product offers detail, clarity, and purity throughout the whole frequency spectrum, from subsonic lows to ultrasonic highs. 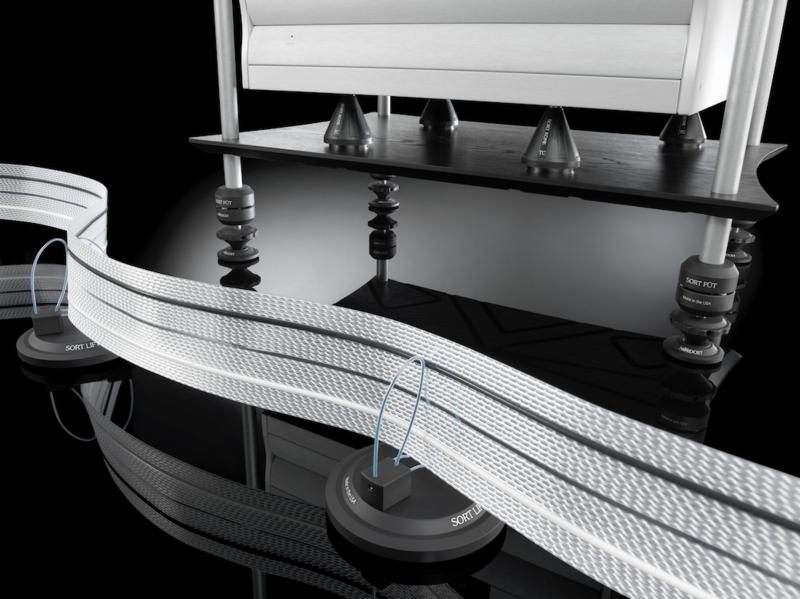 Now, due to popular demand, Nordost’s SuperFlatline cable is back! 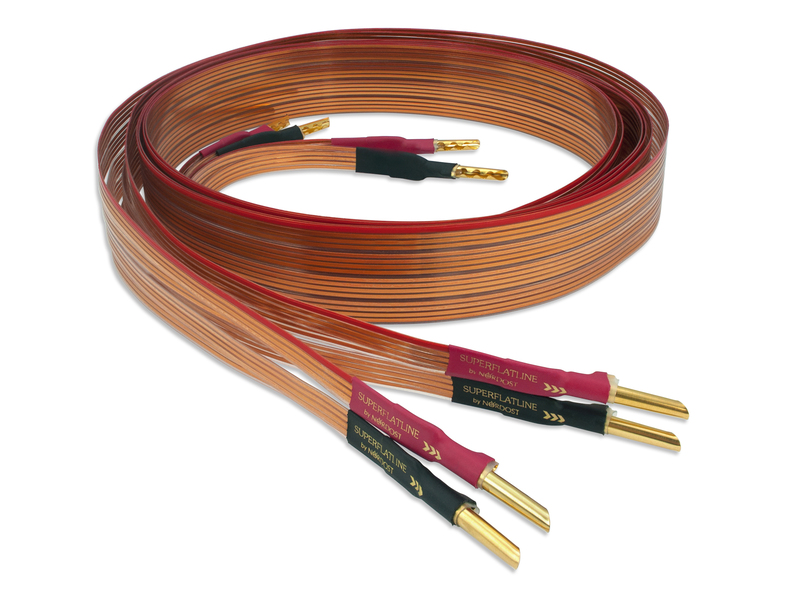 Nordost’s SuperFlatline Speaker Cable consists of 16, 23 AWG, solid core, flat, rectangular copper conductors. 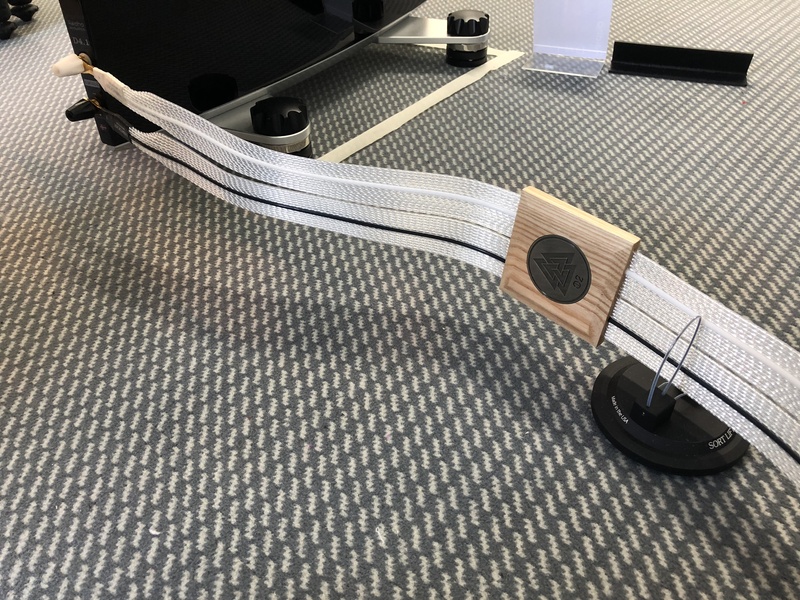 The flat geometry of this cable not only increases signal transfer speed, but also makes it possible to run lengths under carpets for easy and discreet installation. 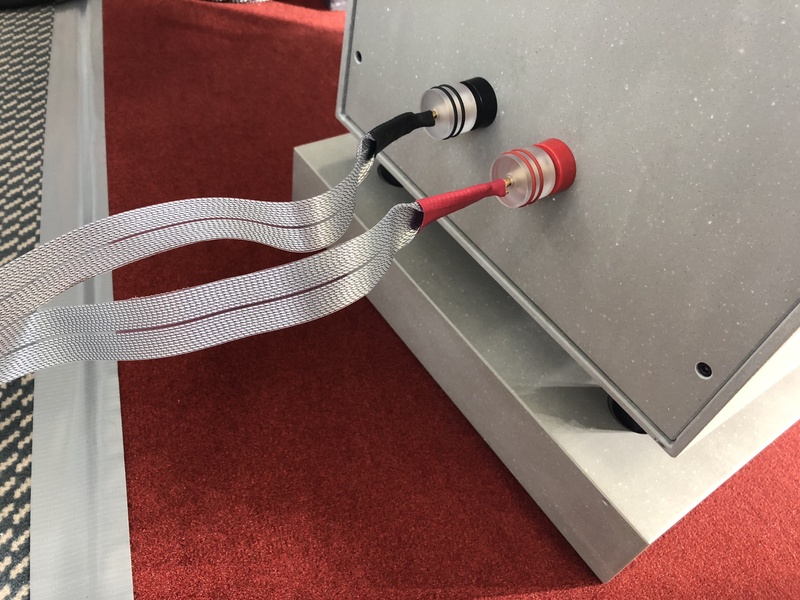 Additionally, SuperFlatline employs an innovative precision FEP extrusion process, which lowers the capacitance and increases the bandwidth of the cable dramatically, enhancing accuracy in signal transfer. This high quality, versatile cable can be used in any system. When used in a shotgun configuration, the SuperFlatline is capable of carrying high currents (up to 12.5 amps at 300 volts) while its 16 conductors can easily facilitate bi-wiring or bi-amping. 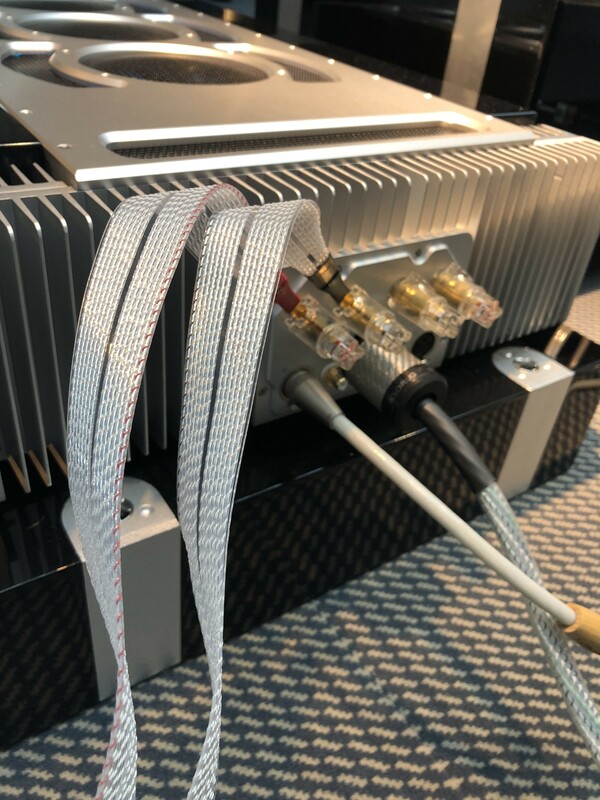 Designed and manufactured entirely in the USA, the SuperFlatline Speaker Cable guarantees the precision of craftsmanship required to produce the uncolored, unfiltered accuracy of sound that is synonymous with Nordost. 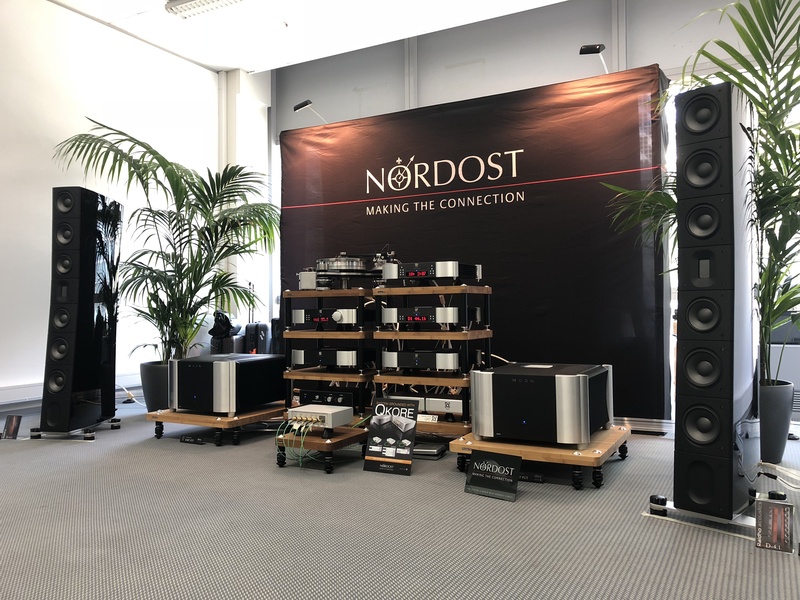 Nordost cables make a difference. 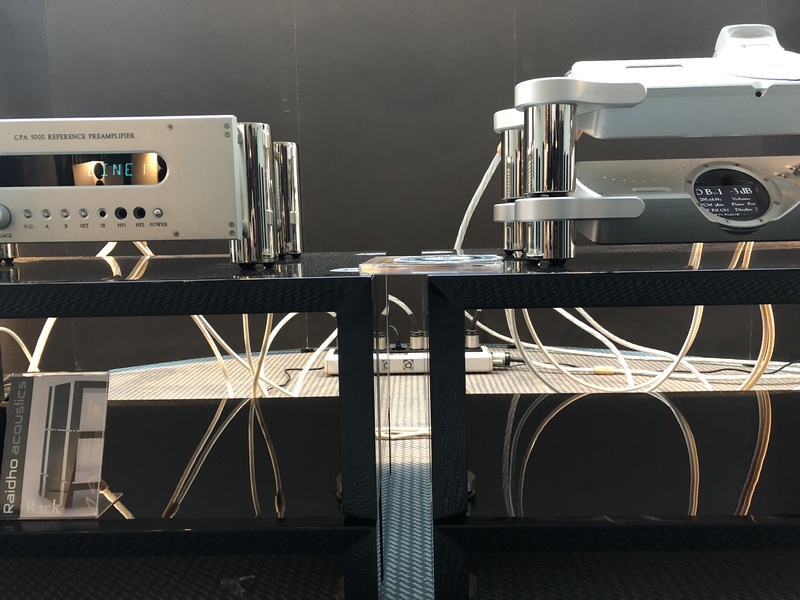 Thanks to the series of live product demonstrations and cable comparisons performed worldwide at trade shows and dealer events, many hifi enthusiasts have had the opportunity to hear this difference for themselves — not to mention the improvements that people experience when introducing Nordost products into their own homes! 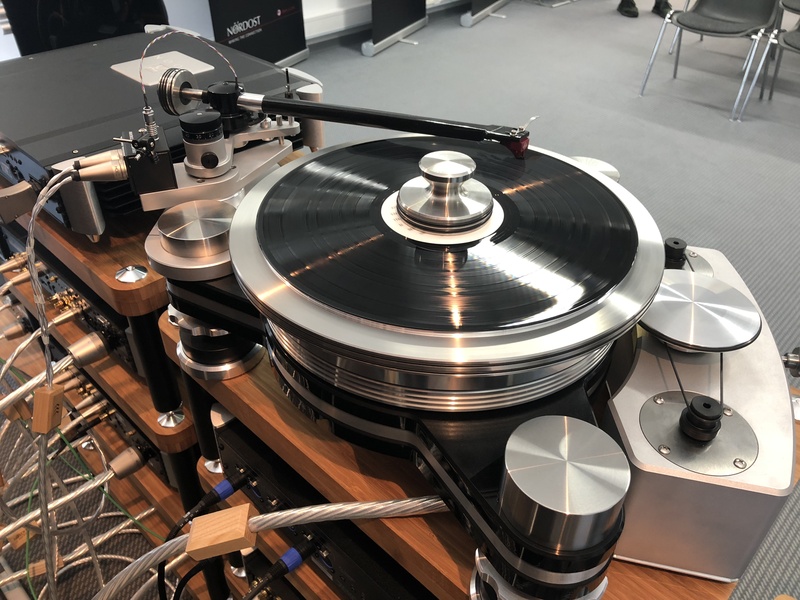 However, there is one aspect of the chain that people have not been able to hear Nordost’s impact on — the musical recordings themselves. 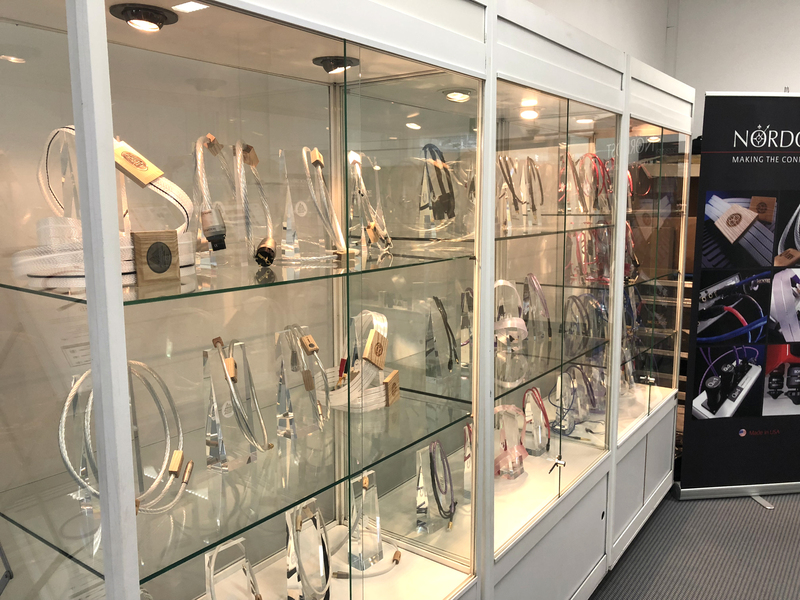 A few years ago, Nordost launched its first range of pro audio cables, Ax Angel. 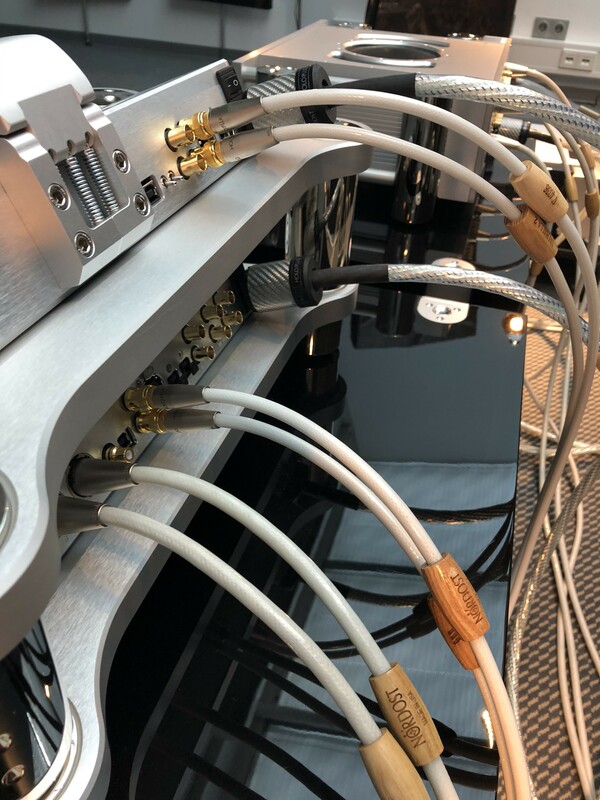 Ax Angel studio recording cables are constructed using the same design philosophy and technology as our hifi audio cables, allowing musicians and recording engineers to fully capture music in its original state. 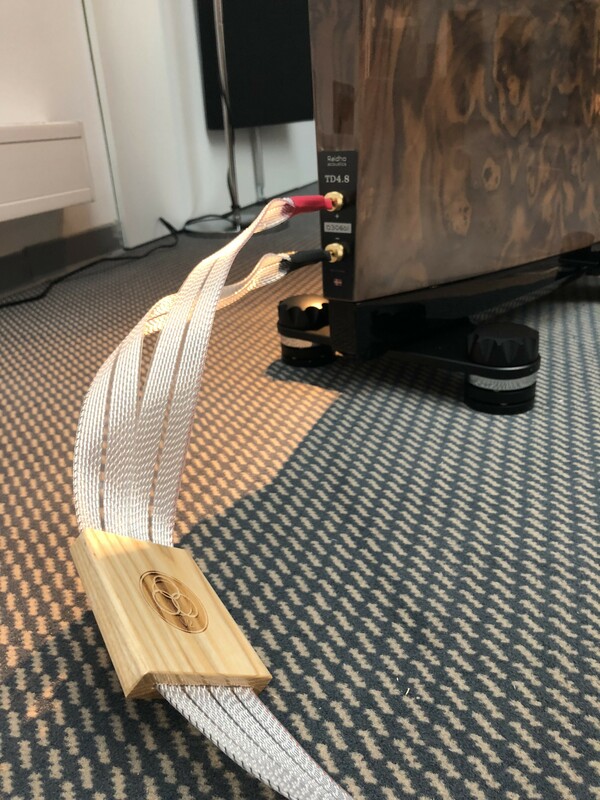 This is what the Chief Engineer at EastSide Sound, Marc Urselli discovered when we initially installed Nordost cables in his recording studio, in order to record Newvelle Records’ fourth season. 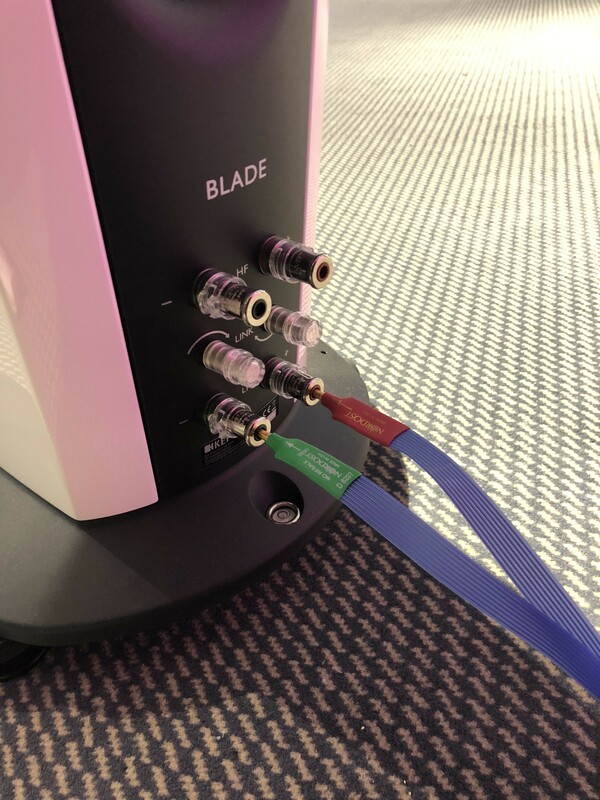 Once the cables were in place, we thought it would be fun for Marc to conduct an A/B test to hear the difference for himself. As a five-time nominated and three-time Grammy Award winning recording and mixing engineer, we wanted to hear his expert opinion.